We are proud to have held our first presentation & competition evening at University College London (UCL) last night. I think all present will agree that it was an interesting evening with lots of different opinions and views expressed, which were rewarded with some amazing prizes. – Is international travel compatible with a sustainable lifestyle? – Is it better to volunteer abroad, or at home? – What does diversity mean for you in the 21st Century? 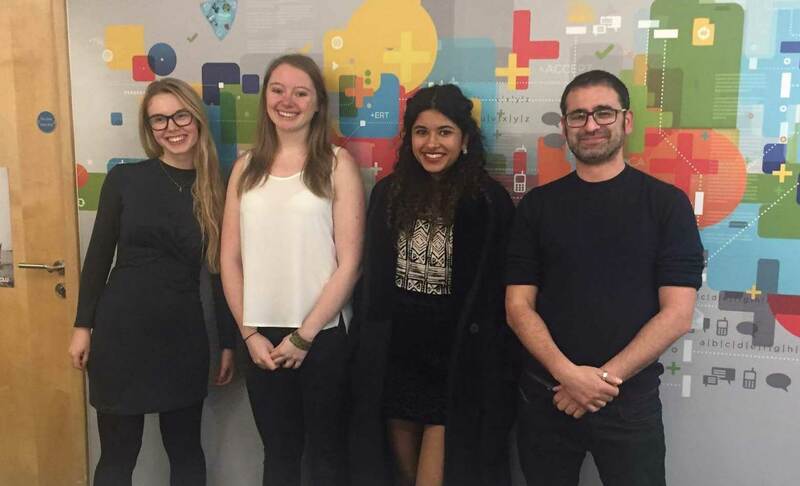 1st prize – Liv Vage – 3 months on the Business Internship in Thailand – courtesy of AIP. 2nd Prize – Jessica Webster – 1 month on the Human Right Internship in Tanzania – courtesy of Karibu Tanzanite. 3rd Prize – Shayna Kowalczyk – 2 weeks on the Sea Turtle Rehabilitation Internship in Costa Rica – courtesy of LAST. Burning the planet to get a sunburn – is international travel compatible with a sustainable lifestyle? We are at an interesting junction in history; humans have never been more connected, and never more polluting. The annual CO2 emission for the average world citizen is 5 metric tons. Now consider that a round-trip from London to New York emits 2-3 tons per person. If you get on a few international flights annually, that alone makes you emit more than the average human. There are also millions just like you, working hard on pulling that world average up. Is international travel in any way compatible with a sustainable lifestyle? The short answer is no. The complete answer is slightly more complex. Air travel only accounts for about two percent of global CO2 emissions. There are other, much more potent causes at play. Electricity consumption accounts for 30 percent of the emissions, and travel in general for 26 percent. We tend to think that technology improvements will at some point solve this. In fact, however, even a huge emitter such the US could be entirely dependent on clean sources by 2030 depending on technology available today. This shift will not happen. It would require enormous investments, and large stakeholders such as the oil industry would need to willingly step back. As conscious citizens, we can apply economic and political pressure to push for that change. Opting for green choices such as electric cars, shows policy makers and producers what consumers want. Private initiatives such as Elon Musk’s solar panel roof tiles also put the fossil energy industries at risk. Even something small like asking airlines about their sustainability programs show companies that they need to consider the environment if they are to survive. The impact of such pressures can greatly exceed the impact of cancelling your holiday plans. Therefore, a sustainable lifestyle can indeed include air travel if it also includes pushing for change where it matters. Nevertheless, travel emissions are only going to increase. Since 1990, air travel emission has increased by 83 percent. As globalization and economic development continues, this trend will only accelerate. Not only does that mean more CO2, it also means more noise pollution and possibly reduced water and air quality around airports. And to make matters worse, there is very little incentive for the industry to improve. Who is going to be held responsible for the emissions for an Air Qatar flight from the UK to Dar es Salaam carrying passengers from 20 different countries? That’s right, no one. International law and agreements generally don’t apply to flight emissions. Even the Kyoto protocol has no clause determining responsibility for these emissions. There is some economic motivation for increasing fuel efficiency. Otherwise, the demand for international flights is so large and fast growing that an airline will gain very little from improving their fuel or green technology. Should we therefore strive to reduce all our travels? Not necessarily – we need to be aware that reducing travelling would have enormous impacts. Being deeply connected is what makes businesses thrive, our cultural understanding grow, and our holidays sparkle. If we look to the young, we can get a picture of what our travelling future holds. A large study showed that young travelers are now traveling more often, staying longer, spending more, and in need of an immersive experience. The modern aspiring student wishes to explore overseas universities, workplaces, and cultures. These are positive trends, and not something we want to discourage. We seem to be at an impasse. Air traveling pollutes massively, but the cost of giving it up is immense. There seems no magic technology to fix pollution levels, and little incentive to try to develop this. Therefore, to make international travel compatible with a sustainable lifestyle, we can firstly look to alternatives when possible. In Europe, for instance, train travel can be a viable option. Most importantly – each avid traveller should compensate by being the incentive for industries and policy makers to make changes where the technology is available, and where we figured out the magic fixes a long time ago. Is it better to volunteer abroad, or at home? In recent years, accusations of “voluntourism” have been, often justifiably, used against young British people who volunteer abroad. Critics argue that well-meaning infrastructure-building, short-term teaching support and material donations provide more of a hindrance to the developing world than a help. In contrast, as government cuts continue to decimate services for the most vulnerable, it begs the question as to why so few are willing to donate their time to supporting vulnerable people within the UK. The fact is; it should not be an “either/or” scenario. Volunteering abroad should be embraced as an opportunity to build connections with people different from oneself, learn lessons about other cultures, and find genuine empathy and drive to help the vulnerable. If individuals learned these lessons from volunteering abroad, viewing their opportunity as a chance to learn and receive as much as to give, many current issues at home would be addressed. Overseas volunteers could be forerunners in providing resolutions to inter-cultural and inter-class animosity; and could champion the rights of vulnerable people – homeless, elderly, disabled, immigrant – whose plight they have witnessed abroad. This debate is extremely polemic: whereas 0.7% of the UK’s budget (£12.2bn) continues to be donated to developing countries, recent cuts to the annual domestic social security budget have reached nearly £30bn in the last 4 years. I will not spend time arguing the obvious, albeit over-simple, answer – that support at home and abroad should not be mutually exclusive, and should and could be priorities of the budget. Rather, I aim to counter questions such as ‘isn’t it all a waste of time and money?’, ‘why is it our responsibility?’, and ‘how can you help people whose culture you don’t understand?’. First and foremost, so many of the greatest issues with Aid could be overcome by individuals volunteering and helping overseas. The media often viciously exposes the failure of direct Financial Aid between governments. Countless cases have emerged where enormous sums of money have simply gone straight into the pockets of corrupt leaders, rather than destitute populations. An arbitrarily chosen Daily Mail article from June 2011 epitomises this: ‘UK aid cash helped African dictator buy himself a £30m jet’. Unsurprisingly, scandals such as this have wholly undermined Aid programmes. Alternatively, volunteering with NGOs allows development to happen from the bottom, upwards, as individuals from the UK can transfer their skills, understanding and, where appropriate, allocate material fundraising, to specific areas. It must be made clear here that the very real element of patronising, self-indulgent volunteering must be avoided here. Many have sardonically invoked Rudyard Kipling’s imperialist poem “The White Man’s Burden”, in suggesting that Western individuals go to developing countries with a ‘save the world’ attitude. Paradoxically, when sensibly and sensitively done, it is volunteering that can cure this harmful attitude and its effects, on both sides. On the one hand, by travelling abroad and experiencing a tangible, accessible, vibrant community of people, the volunteer will inevitably lose some of his or her pre-conceptions that are residue from the colonial era. Alongside this, the sharing of values and ideas for progress can be conveyed along friendship terms, rather than imposed (as in the colonial era) or viewed as simply going one way. To relate this issue of British colonial history directly to the question of ‘responsibility’, it is evident that Britain owes much to countries whose wealth and cultures were plundered for the sake of European powers. Comedian and social commentator Frankie Boyle addresses this in his derisive response to the mantra ‘Give a man a fish and he can eat for a day. Give him a fishing rod and he can feed himself’. ‘Alternatively,’ Boyle states, ‘don’t poison the fishing waters, abduct his great-grandparents into slavery, then turn up 400 years later on your gap year talking a lot of shite about fish’! In less colloquial terms, the argument that nations should be left to develop themselves and not to depend on more powerful “Global North” nations ignores the fact that the “Global North” was built at the expense of many nations now in need. As has been discussed, it is not a solution to simply pour money into the countries – and this includes well-meaning direct donations. Dambisa Moyo’s Dead Aid uses the example of the “mosquito nets” as its ‘”fish”. She envisages a volunteering or charity programme that donates thousands of nets to a community at risk of malaria. This well-meaning act, however, leaves the community both bereft of nets when they need replacing, and also does not contribute to a financially stable society. If the programme chose instead to invest in a mosquito-net-making individual, who could expand his business, hire workers who could then financially support their families, send their children to school and afford to buy future nets, the “rod” would be made sustainable. Not only is this a duty we owe to the developing world, but also the investment – in multiple forms – would be made. With this, we can see how issues at home, within the UK could be aided by volunteers going abroad. Financially, this is clear. Whilst a globalised world should be one where people have the freedom to live where they wish, it is not a world where everyone simply departs their dire nations to find solace elsewhere. Instead, investment in people, fulfilled by overseas volunteers and NGOs teaching, engaging and supporting communities to thrive, will contribute to a world in which fewer nations depend on Financial Aid from others. Moreover, volunteering proves an investment in relationship, and an investment in mutual cultural understanding. As refugee crises, rising extremism, and media-fuelled intolerance enhance an “us and them” stance, this is of integral contemporary importance. In travelling to other parts of the world, and working alongside people of varying origins, cultures and customs, individuals learn empathy, communication and appreciation of others. In vibrant, multicultural, and relatively wealthy Britain, it is this attitude of common goal that needs adopting. Volunteering overseas can teach that. What does Diversity mean for you in the 21st Century? Last year, the BBC were accused of being ‘too diverse’. Why? Because 13.4% of their staff were black or minority ethnic when only 12.8% of the UK population was non-white. The Sun was, naturally, outraged at the BBC’s ‘racist’ agenda, as were a surprisingly large amount of the British public. ‘Will you now be hiring white individuals only for some positions?’- a rhetorical question from a disgruntled (white, male?) reader in the comments section. Diversity is one of those buzz words that has long since lost it’s original meaning, becoming a part of a corporation’s list of public image tick-boxes more than an initiative to include people of all races, genders and sexual orientations in society. What does ‘too diverse’ even mean? If diversity could be measured by simple quotas, then the issues in society that demand we do measure it wouldn’t even exist. The truth is, the numbers are superficial. They’re a guideline to let us know if we’re moving in the right directions but they don’t even begin to give an idea as to how diverse our society really is. The debate over these two percentages is purposely arbitrary, twisting a practical problem into a rant at political correctness. Diversity in the 21st century is too easy to dismiss as one of those positive ideals we’re all happy to say that we are striving for without doing anything about it. An example of this is the wide-spread frustration in the LGBT+ community about the representation of gay and lesbian people in films and television programmes. But there’s a whole category devoted to them on Netflix! They’re filling the necessary quota; our film industry is diverse! Is it? Aside from painfully stereotyped characters, the most common complaint is that gay and lesbian films are so often tragic, directors exploiting the stories of a minority group for the catharsis of a wider audience who are taught only to feel pity towards them, glad that they, as ‘normal’ people, don’t have to go through the same struggles. ‘Blue is Warmest Colour’ is a film directed by the male Abdellatif Kechiche, a tragedy about the coming of age of two young lesbians, and a film that I, as a young woman attracted to girls, felt uncomfortable watching. It was impossible not to be conscious of the way the story had been twisted to entice a male audience. How can we call this diversity? It’s fitting minorities into pre-defined boxes and only telling their stories in the way that doesn’t challenge the public’s views of them. Where are the romcoms? Where are the thrillers and horrors and sci-fi’s with casual black or gay or female protagonists whose story doesn’t revolve around the fact that they are not white men? And, even more necessary than that, where are the stories that do revolve around the fact that they are not white men? The films that are written and directed and produced by people who have first-hand lived through the experiences that they are trying to portray? Diversity is about having a voice. It is not about numbers, it is about representation and balances of power. Without having the opportunity to decide how we are portrayed and our stories are told, our presence in society is not equal to diversity. It is just a presence. The benefits of a diverse society are not corporate public image or a sense of righteousness but the collaborations of people who think and live differently and who can bring new perspectives to old ideas. In a workplace, it is not enough to have the necessary quota of jobs given to women. It has to be a certain percentage of jobs at each wage level, with the aim of women having just as much control over the progression of the company as men. We are getting there. And whilst I can mock and belittle the idea of filling quotas all I like, the truth is that at least it’s something. If a university is forced to take women and people from lower socioeconomic backgrounds because of an implemented quota, then who am I to complain? It’s easy to regulate and it gives them a step up the ladder. I just hope that the glass ceiling a few rungs up isn’t too thick. I am a young, mixed-race, bisexual woman. Diversity to me in the 21st century is the key to my future. On a large scale, it’s about representation and equal opportunities. But on a small scale it’s about our own little neighbourhoods and who we invite to our children’s birthday parties and whether we make an effort to learn each other’s languages or recipes. I want to be considered for a job the same way that that a white, male peer would be. I want to see people like me on the news and in tv shows. But I also want to be part of a community where I don’t feel like I have to hide any part of my identity in order to fit in. Diversity for me is about feeling comfortable. It’s chatting about my past relationships with girls without anyone looking squeamish and having people make the effort to spell my Indian and Polish names without deciding that it’s just too much effort. It’s about my knowledge of an Asian country being considered just as interesting as a European one and it’s about the feminist issues that affect my wellbeing being contemplated rather than overlooked. It is difficult to explain the necessity of diversity to anyone who has never been at a disadvantage because of a lack of it. But the likelihood is that we all have some aspects of our identity which aren’t the norm and which we wish didn’t set us aside. We just need to learn to admire those aspects of identity in other people. Maybe it’s a cliché but it’s true: that our society will benefit when we celebrate what divides us. The simple answer would be: Diversity means as much as what we have to gain. The stakes are really high and so are the gains. To talk about diversity you need to talk about understanding, inclusivity and public participation. All people -of any and every background- need to be represented and actively participate in a healthy democratic process. Democracy has failings, but it is still the best system for organizing societies that we have been able to invent. Maybe its is because of such failings that in Greece, the birthplace of modern democracy, that the third biggest parliamentary party is a far right one. Because that is how democracy works. It may be flawed, there might be better political or philosophical alternatives, which our minds are yet to conceive, but it leaves no one behind or forgotten. Or at least that’s how it’s supposed to work. To talk about diversity you need to talk about both majorities and minorities. A black, atheist, transexual woman from Zimbabwe should not be more or less equal to a white, Christian, straight man from the United States of America. To talk about diversity is to talk about religious freedom, voting rights, sexual rights, individual rights, human rights, animal rights, the “parliament of things”, (as Bruno Latour envisioned it) the cosmos (as philosopher of science Michel Serres has reminded us) or the “oddkin” (as feminist activist Donna Haraway imagines it). Is there anything more beautiful than getting in the tube in a busy stop in London or New York and observing the wealth of differences mingling around you? People of different colours, with different clothes, different looks, different directions, different accents, a different consciousness, but the same human face. The face of humanity. Hopefully also the mind of a humanity that sees itself as one part of a larger biosphere. In the history of literature there are multiple bleak references of dystopian futures where humans work as parts of a machine. All heading the same way, in the same grey clothes, with the same expressionless face. But I do not need to delve into that literature. Visions of such homogenous populations are winning political ground all across the world as fear is dictating decisions. On the grounds of hypothesized white supremacy, national security or plain intolerance, nations are closing their borders in the hope of reliving that abstract, fleeting moment in pre-Tower-of-Babel- human history, [or even pre- Twin Towers-9/11-bliss] when everyone spoke the same language and came from the same cultural background. Political instability is compounded by (and arguably owed to) wealth inequality. And that two hundred-year process of creating that extreme wealth inequality in modern capitalist societies is also leading to increasing environmental instability. Each subsequent year is declared as the hottest year on record, with 2017 faithfully following the same trajectory. These three phenomena -political instability, wealth inequality and environmental destruction- are inextricably linked. We need to rethink our current social and political systems and closely examine to what extent they are responsible for the state of the world today. Oxfam reports that 8 people own more wealth than 3.5 billion people combined. This degree of disenfranchisement may not justify the ‘refuge’ of people to far-right ideas, but it does partly explain it. We need to step up as citizens of the cosmos and reclaim democracy as the collective-participatory process we envisioned and envision it to be, not its present fetishized form of exclusive lobbyist representation. The voice of the people living in the islands of the Pacific Ocean should not be less important than the voice of powerful oil companies’ CEOs. The voice of the people from rich suburbs should not be stronger than the voice of the people living next to waste-processing factories, where the air is deemed too toxic for inhalation. Two course-mates and me have “stayed with the trouble “: we created a platform called ‘The Climate Collective’. We ask people from all around the world, no matter their political or religious beliefs, their economic status or the colour of their skin, to share with us their views and experiences on climate change and the environment. We aim to personalise climate change, an issue hitherto often coined as being ‘too distant’, ‘vague’ or ‘overly scientific’, while making up for the lack of coverage on mainstream media. By giving climate change, – an issue that transcends us as individuals-, an everyday human face, we can directly convey the message of the importance of collective action. We can use diversity as a toolbox for inventive connection and effective response. Our stories collected so far range from a nun in Myanmar, who links climate change to her religious beliefs, to an English teenager who believes that climate change is used mainly to distract us from other issues like the war in Syria. Some of the participants offer concrete solutions in battling climate change, like a girl from Colorado US or a guy from Cork Ireland, who argue that eating less meat is the way to go. 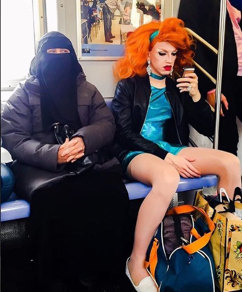 The picture attached above was uploaded by a user on Twitter with the mocking caption ‘The future that liberals want’. As a liberal I would agree that this is the future I want. A future where such different people can coexist, interact and not only ride the same train, but also work together towards not a future, but the present they all want. Diversity for me is when all bodies have a voice. And this voice is used as a building block for change. Our existence in this planet is fragile and transient. History has taught me one thing: We are slowly but steadily moving in the right direction. Whether you look at worker’s rights, women’s rights, the emancipation of slavery, legalization of gay marriage, or the niche area of animal rights, equality is winning the struggle. Acknowledging this has made me the optimist that I am today and it is the source of all my passionate curiosity, joy and persistence. The war is still on. Let’s make kin. Let’s speak up. Let’s take and give, let’s share responsibility. Is international travel compatible with a sustainable lifestyle? To answer this question, I must first define what I believe constitutes a sustainable lifestyle. When thinking about sustainability, environmental impact is often the first thing to come to mind, and while it is important I would like to highlight the other aspects of a sustainable lifestyle: economic impact and cultural impact. A sustainable lifestyle should be one that hypothetically could be continued indefinitely so the aim should be to minimise harm and damage. To call travelling sustainable, I believe the impact on these areas; environment, economy and culture, should be minimised and taken into consideration when making decisions of how to travel, where to shop, where to stay and numerous other decisions taken when travelling internationally. For this to be true however, a broad and comprehensive definition of each term must be taken. Economy is the mechanism for the movements of goods and payments, in whatever form they take. Environment encompasses everything that makes up the fabric of someone’s life; climate change, the weather, the flora, fauna and structures that make up their world. And culture accounts for the parts that are not immediately visible, the shared values, norms and customs, languages, the shared soundscapes of daily life, specific meaning taken from actions, art and the world around. I think all these elements must be considered when considering sustainable travel. I will look at each factor in turn and discuss the compatibility of a sustainable life with international travel in that area. Living a sustainable life involves taking actions to minimise the impact you have on the environment, this includes thinking about the food miles of your dinner, the carbon footprint of your car and where your landfill goes. So, sustainable international travel poses one big problem; how do you get where you are going? For many people the answer is a plane. With increasing airport capacity and development all over the world flights are getting cheaper and more connected; you can now go where you want less money and less time. It’s the easy option and for some, the only one considered but is it possible to take a plane and still claim to have a sustainable lifestyle? 2% of all CO2 emissions come from air travel and even though this figure seems low the demand for air travel is set to double in the next 20 years so this figure seems set to rise. However, looking at total emissions from transport, air transport only makes up 12% of the total emissions compared to 74% from road transport. So, as a part of a sustainable lifestyle you might find that your car creates a larger carbon footprint than a return flight once a year to holiday. Flying seems to be a non-negotiable part of the transport system and are around 80% more efficient than when they were first commercialised so if this efficiency continues to improve a sustainable lifestyle could involve none or very few domestic road journeys and one (return) international flight a year. So, the point here is that travelling anywhere, in any means aside from walking, will have some carbon and environmental footprint so the dilemma is less between which transport you take and more between whether you travel at all. One solution to this would be to travel domestically by bike and foot which would be the most carbon neutral option. A sustainable lifestyle should promote stability in the local economy. Looking after the local and global economy is a concern that weighs heavily on the collective conscious following numerous recessions and financial crashes all over the world and so it should too on any traveller looking to be sustainable. I think a traveller can help maintain and promote the local economy by bringing investment however the risk with this is making sure money doesn’t destabilise or inflate certain trades. I believe it is possible to have a neutral or positive effect on the economy with international travel. The additional cash flow brought by tourists can enable people save or invest in the future allowing longer term sustainable development. However, care should be taken so that incoming money isn’t siphoned straight out of the community. This could be talking to locals and finding out where money goes or just avoiding chain stores where the profits may not be reinvested into community. The same goes for selecting accommodation. Injections of money in the right places in the local economy can bring benefits enabling investments in local projects, improved revenues enabling families and business to spend in ways that will benefit them and so the community. So, I believe that travelling can have, with a little care and research, a positive, or at least neutral effect, on the economy. Living in a sustainable way should also involve not imposing your ideas and customs on others. In a similar vein to the economy, I think sustainable travelling should minimise the impact felt by the culture you might be parachuting into. This could involve taking a language class to help communications in a country where little or none of your native language is spoken, or finding a local translator before you go who you can work with. It could also be researching the culture and finding out whether your culture clashes with local beliefs and finding a way to compromise or follow the local customs. In conclusion, I think that in terms of environmental impact any type of travelling will have an impact but I also believe that in our globalised world of today visiting and understanding other cultures is key, now more than ever. So, staying in your home country is an option to minimise carbon footprint but I also think travelling is an enriching and important part of being a global citizen and I believe it can be part of a sustainable lifestyle but must be a careful and considered action that fits in with your personal standard of sustainability.